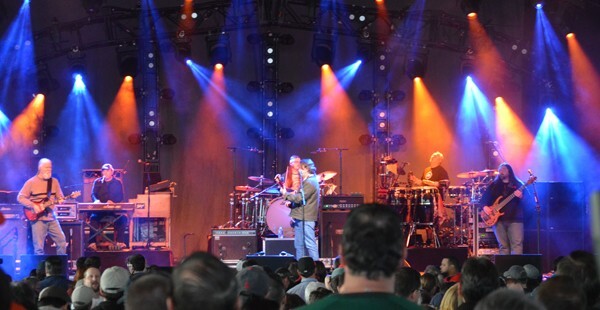 Widespread Panic rocked the stage on a beautiful spring Sunday night to open the outdoor concert season at Baltimore’s Pier Six Pavilion. The Georgia-based five piece, elite of the jam band genre, poured its distinctive Southern hard rock/blues/jazz sound into two and a half hours of music to a near full house at the Inner Harbor venue. 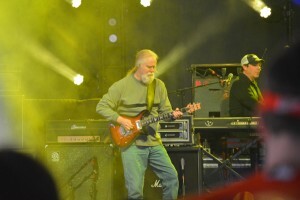 Led by vocalist and guitarist John Bell, Widespread’s lineup also included guitarist Jimmy Herring, bassist Dave Schools, keyboardist John “Jo Jo” Hermann, drummer Duane Trucks and drummer Domingo Ortiz. 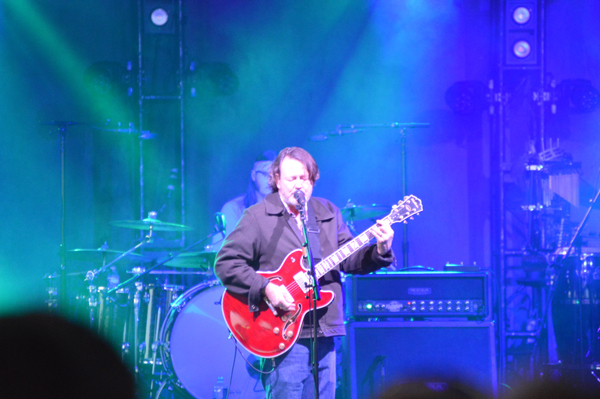 The band opened with Holden Oversoul from their 1988 debut album Space Wrangler, bringing the crowd to its feet and kept fans moving the entire show. Plowing through a two act, 21-song set list that spanned decades of their catalog. Perhaps best reflected in Happy the group played with a unity that sometimes gets lost in many jam bands. The songs were tight and transitions moved with a togetherness that only gets built over time. Herring’s fantastic soloing never departed from the songs’ core, but rather expressed a higher meaning in the rhythm itself. Much of the night’s best music came from the interplay of Herring and Hermann, as well as Bell’s gravelly and endearing vocals. The crowd favorite of the night was Big Wooly Mammoth. 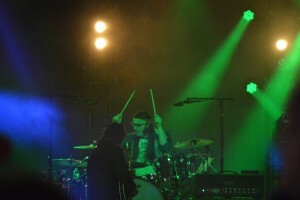 Tucked four songs into the second set, there was a perceptible boost in the audience’s intensity from the song’s first notes that resonated throughout the show. Widespread Panic has sold more than three million albums in its 27-year career, and headlined several major music festivals including Bonneroo, Lollapalooza and Rothbury. It also holds the record for the most sold out performances (42) at Colorado’s Red Rocks Amphitheater. The band’s next stop will be a headlining gig at the New Orleans Jazz and Heritage Festival on April 30 before returning to Maryland on May 14 to play in the sold out Jerry Garcia Tribute concert Dear Jerry at Columbia’s Merriweather Post Pavillion. And they have 42 consecutive sellouts at red rocks. Will be 45 by the end of June. Thanks for the review! Lead singer’s name is John Bell.